Our Mission: The mission of the The Pine City Area History Association is the collection, preservation and dissemination of knowledge about the history of the Pine City Area and to relate that history to that of the State of Minnesota. It is our goal to complement and support the goals and mission of the Pine County Historical Society. 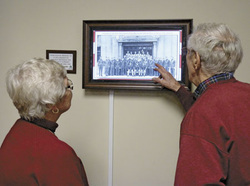 Read the Pine City Pioneer article about our association.